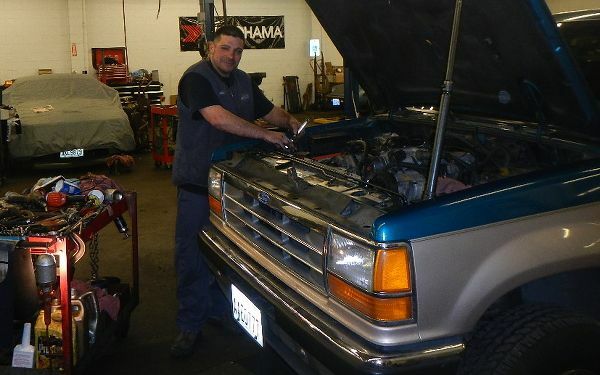 Warren Secord Automotive is an oil change station in Kent, WA that performs oil change service on all makes and models, domestic and import autos, cars, SUV, vans, light trucks, medium trucks, RV, and fleet vehicles. When shopping for an oil change in Kent, WA you have many choices. To extend the life of your vehicle a full service auto repair shop may be your best choice since they have better trained, more experienced technicians. They can also notice and report problems that less qualified lube techs will not see. An oil change at Warren Secord Automotive also ensures the safety and top operating condition of your vehicle. Engine sludge is known to be caused by infrequent oil changes or using the incorrect oil type. Engine oil sludge causes excessive engine oil burning, exhaust smoke, worn engine parts, and excessive exhaust emissions. Some vehicles are more prone to engine sludge and should have their oil changed more frequently. Some vehicles known for engine oil sludge problems are: Audi, BMW, Dodge, Ford, Mercedes, Volkswagen. Oil change specials in Kent WA area. There are a wide variety of coupons for oil change, oil change coupons, oil change coupons 98032, oil change discount coupons, oil change specials 98032, synthetic motor oil change, full synthetic oil change coupon, Castrol Syntec synthetic oil change, & dodge diesel oil change coupons.